why do our local Catholic Schools need your help? While it is true that our local Catholic Schools receive a portion of their funding from the provincial government’s education grants, it is only 50% of the per-pupil operating cost of our local public school district. Any individual or business is able to make a cash donation to the general fund of the St. Joseph School Council for use as need dictates. Giving in this fashion allows the Council to allocate your gift where it is deemed to be needed the most. 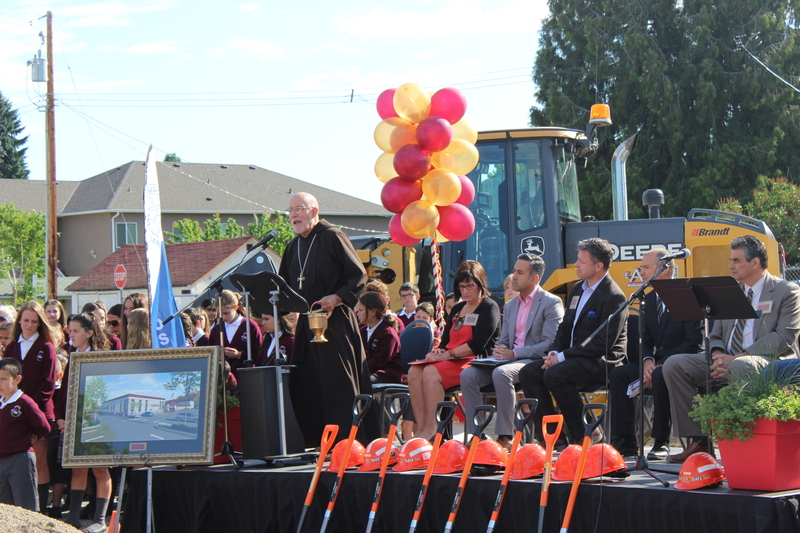 Offerings of land, large or precious assets or other similar items are also accepted by our Catholic Schools. For details, guidelines or just to ask questions concerning your proposed gift please contact Pamela Lovering at the school office or by email at sjkbk@cisnd.ca. Any individual or business may direct which specific initiative or project they would like to direct their donation towards. For example a gift could be earmarked as directed towards technological upgrades to the school campus or new sports equipment. If you wish to target your gift in this manner please contact a member of the St. Joseph School Council or the administration and see what projects or initiatives are currently in need. This Council initiative allows for the pre-purchase and gifting of Catholic Education to a student, group of students or a family. These vouchers can be used to off-set existing tuition costs or simply help out a family or friend in need. They can be presented as named gifts or provided anonymously, whichever method the giver prefers. For details, please contact the Pamela Lovering at the school office or by email at sjkbk@cisnd.ca. All cash donations to St. Joseph Elementary School are eligible for official Canada Revenue Agency charity receipts. For details on the amounts eligible, the process and how to go about receiving your charitable tax receipt please contact Pamela Lovering at the school office or by email at sjkbk@cisnd.ca. Yes, you can either make use of our Tuition Voucher program or simply contact the office and make your payment. Please be aware that the donation receipt will be calculated in accordance with Canada Revenue Agency’s formula for tuition receipts. Often, the receipt may be discounted by the cost of secular education per student, according to CRA's official definitions on the circumstance.